Can you believe I completed my first half marathon? It’s okay if you can’t believe. I’m still not sure if I believe it. I mean I would’ve shared my experience much sooner, but I could hardly discuss it while I was recovering. It hurts me to even think about my body paying a fee to travel 13.1 miles at one time. Who ever came up with the concept anyways?! So you may be wondering how I got myself into something so ridiculous in the first place. I still wonder, and its long gone now. but I was beyond skeptical. I agreed to the race, but I was never truly convinced that I would be ready to drink wine with my race mates. I was thinking to celebrate my accomplishment differently. 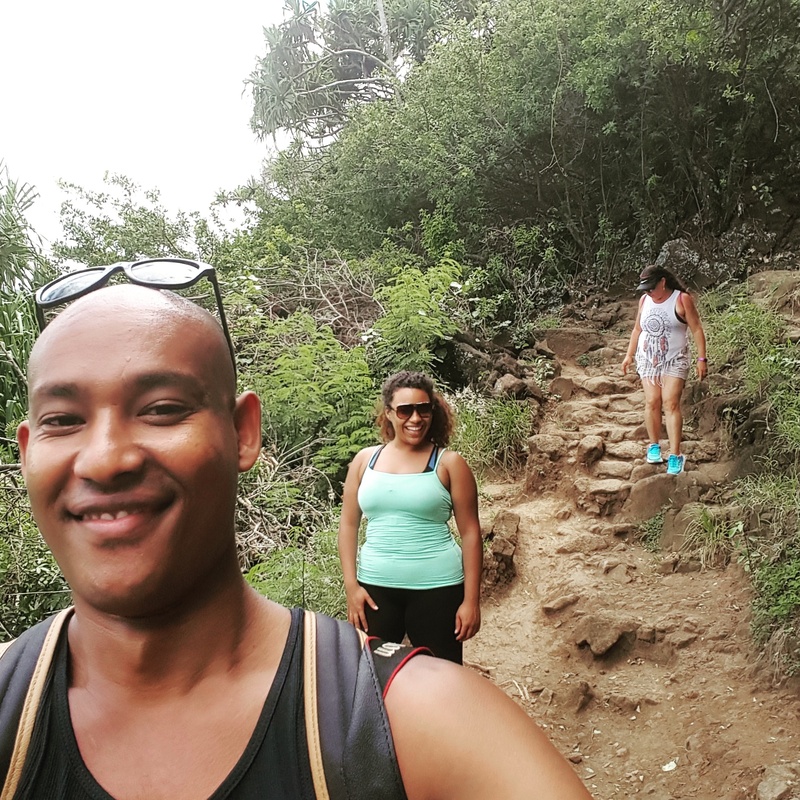 I had been eating well up until we agreed that we would do this race , a family visit and vacation told my new healthy lifestyle to take a hike. “But I tried to eat well and exercise” is what I told myself after I thought about the days I skipped the gym, and cooking, although I did actually take a hike. Yeah, between the sports bra and the leggings, things were a little tight…but back to the running thing. Despite my goals, I made decisions that did not support my progress. Without good fuel and training, I was slow and weak. I started off the race strong, but not too strong, with a light jog…up a hill. Since it was my first half marathon, I naturally thought the course would be flat, just for me. If you noted the extreme sarcasm in the last sentence, you are aware that the race path looked different than I had imagined. I knew I had failed my body before I approached the start of the race. I only hoped that I could manage not to reveal my dirty little secret to everyone around me. The first few miles were okay. I adjusted my pace for my needs and felt confident about my progress until about mile 5. I felt a blister forming on the ball of my foot, as it rubbed against my shoe. The other Divas kept me confident with smiles and words of encouragement. I walked and jogged through the beautiful vineyards, my pace slowed,without the thumps of my favorite songs to keep me motivated. I wanted to cheat so badly! I watched some sneek past a few of their miles, while others confidently ignored their commitments to the completion of the race. By mile 8, the Divas around me were sparce, and I’m starting the hear about some van that I dont want to catch me. My ankles ached. My extreme desire to say I completed a half marathon, my mom somewhere ahead of me, the van trailing behind me, and last, but certainly not least, MY PAIN, somehow joined forces and kept me hobbling forward. Without my music, my mind wandered from my self doubt to willpower, to damnit if these older ladies can do this, I WILL do this! At mile 10, I was really suffering. The van pulled up alongside of me and the driver asked if I wanted to get in, a few times. I objected and she was kind enough to offer encouragement, as well as frequent offers to get in the van. The cheerleaders made me smile. They gave me flowers and jogged with me until I couldn’t jog anymore. By mile 12, I don’t even know how my body was still moving. It may have been operating solely on pride. I was alone with the van behind me, when I hobbled past two officers who assured me that the rest of the way was flat and downhill(the illusion people tell you from mile 0 until finish to get you through although it is absolutely not true). I heard one of them mention my limp in the distance, and then the shuffling of gravel behind me. Too tired to look back, I continued on until the two officers joined me, one on each side. We walked and talked to the finish line but I didn’t stop there. I didn’t stop at the finish line. I couldn’t stop, really. I worried that a stop would mean that I would have to live there. I limped through the snack line to pick up some fuel. Here comes my mom. If I didn’t know any better, I would’ve thought we did a freaky Friday because she was pumped up, as if we were just getting ready for the race. I limped another half mile to my car. It was relieving to sit, but nothing felt good. My mind wanted to feel accomplished, but my body wouldn’t allow it. The next day, I felt proud that I could hardly move. Once again, my mom was on the Freaky Friday thing, telling me to take a walk to help me loosen up, and not to forget my juice plus. There are so many factors to this healthy thing, and the race was only half the marathon. I’m not sure why I waited so long to actually post this. I ran the race at the end of September, recovered by mid-October, and I definitely could’ve shared it sooner. Considering that I somehow signed up for a 10 mile race that’s a month away just shows that I may be a little crazy, or it wasn’t that bad or I might be a little crazy. My fear is that it may be the latter, but I WILL NOT STOP! I will also blog about it much sooner than I did this time around. Have you ever run a half marathon? What did you think about it?